Our health directly depends on the environmental conditions in which we live, what products we use in our diet, and what water we drink. The growing organism is especially susceptible to such factors, therefore the influence of nature on human health should not be underestimated. When you are in nature, you are filled with a sense of wonder. And no matter whether you walk in the woods, breathe in fresh sea air or admire the flowers in the field. There are good reasons for the fact that many artists and poets drew inspiration for creation in natural beauty. Studies have shown that when spending time in nature, you get not only moral but also physical benefits. Researchers have studied the influence of nature on the level of vitality. The results showed that time in nature (even if you look at a photo or visualize nature scenes) increases the energy levels. And it is not surprising that our senses awaken. Surrounded by flowers, smells and sounds of all living things in nature, you literally feel life around you and in yourself. In one study, participants were shown traumatic videos of industrial accidents. And then showed footage of nature and urban conditions. Those who viewed the scenes of nature recovered faster from the effects of stress caused by the watched video than those subjects who watched the urban scenes. Being in the open air can be a natural remedy for various types of treatment. We all know that exercise contributes to the production of endorphins and improves mood. So feel free to exercise in nature and get a new level of natural mood boost. A review of several studies has shown that outdoor exercise improves participants’ mood and self-esteem after five minutes. The presence of water in the environment is particularly beneficial for humans. Studies have shown that spending time in nature increases the ability to concentrate. 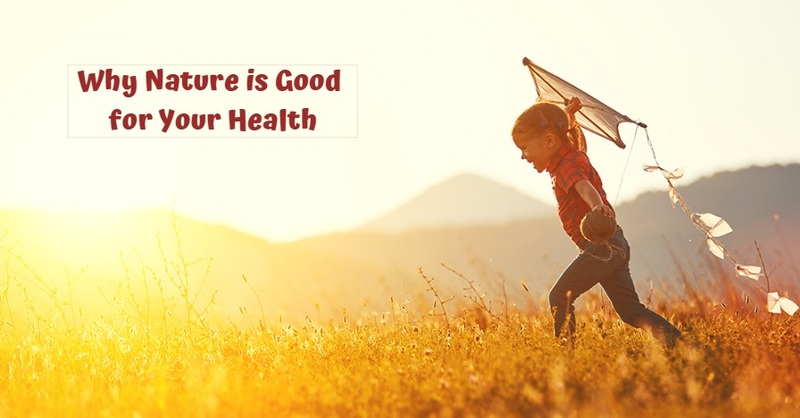 For example, one study found that children with attention deficit hyperactivity disorder became more attentive after a 20-minute walk in the fresh air than from a walk at the same time in an urban setting. Another study showed that rest in the park (or even if you just look at the green space) normalizes brain function and increases concentration. Spending time in the fresh air, we feel connected to a wider picture of life, tune in to the rhythms of nature, and as a result, we are less distracted by daily stresses. One study showed that participants who lived outside the city for five years had an increased sense of well-being. And this effect lasted for three years! Researchers have found that being in nature increases a sense of awe, for example, that excess of feelings when you watch the beauty of the sunset. But not only trembling and reverence increase your satisfaction with life. These sensations lower the level of cytokines that promote inflammation of the body. In other words, science says that you will become healthier and less sick if you go to nature more often. A five-year study of Japanese senior citizens indicated that living near areas with green walking areas increased their years of life. This relationship was found even after considering variables such as income, age, gender, marital status, and other relevant factors. Even indoor plants have a positive effect on health.